Save 25% to 35% & can ship today. Custom sublimated track and field uniforms & singlets are also 25% to 35% off & available in all colors. Shop4Teams carries top quality track uniforms to outfit track teams -- from recreational clubs to high schools and universities – all across the country. We have a wide selection of youth and adult track jerseys and track shorts in a wide variety of colors and sizes. 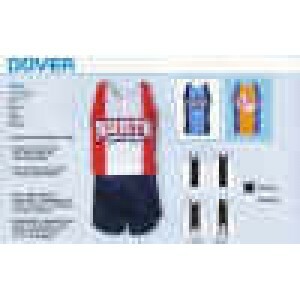 We also offer a great range of affordable, in-stock track uniforms to top of the line pro-quality custom track uniforms. We are proud to provide you with the best quality custom track uniforms, warmups and meet apparel, all at the most reasonable prices. Let our knowledgeable representatives answer all of your questions and guide you to the path of finding the perfect game uniforms and team practice apparel to meet your specific needs. We carry a huge array of custom track uniforms, from the simplest basic singlets to the most advanced moisture wicking and breathable uniforms on the track. With almost infinite color combinations and style choices, you're sure to find something here that is not only eye-catching but is budget friendly as well. Once you do, give us a call and let us customize your track uniforms with your team name and team logo for a unique look that is all your own. We are continually expanding our lines, so check back frequently to see what's new at Shop4Teams. Size Chart Racerback with room to print ..